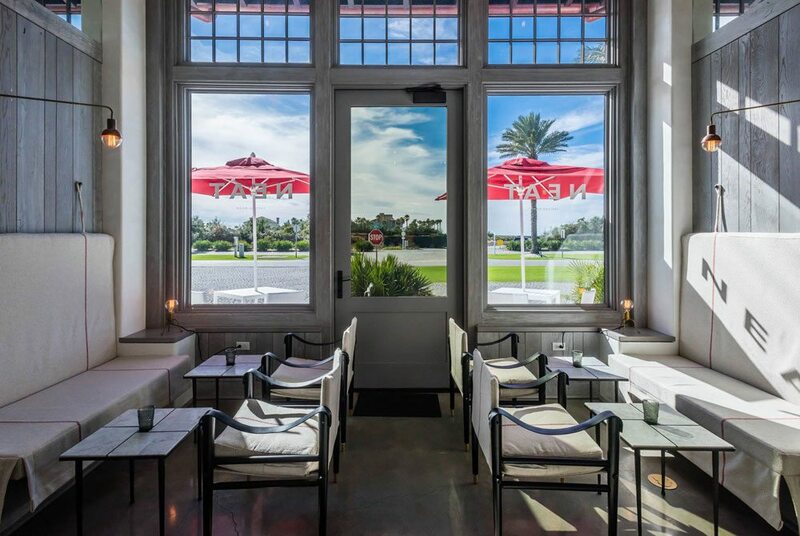 NEAT is a creative bottle shop and tasting room in Alys Beach. While a handful of die-hard locals have no doubt sampled all of 30A’s wonderful watering holes, out-of-town visitors don’t always have a lot of extra time to venture off the sandy path. While you might have sampled The Perfect Pig’s meaty “Praise the Lard” menu, it’s easy to overlook the full bar tucked away at their Gulf Place location. There’s more than ample ambience at the bar, bistro tables for those cozy encounters, a TV or two for sports, and a creative cocktail menu with happy hour specials. 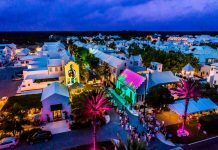 This swanky, cozy and uniquely Alys Beach hangout is located directly on Scenic Highway 30A, just a frog hop across the cobblestones from George’s at Alys Beach. There’s a tiny store that purveys hard-to-find craft liquors, with a special emphasis on regional brands. NEAT’s Tasting Room next door is a magical new spot to sip. The bartenders have an ever-changing cocktail menu and they teach you how to make the concoctions you enjoy at home! Learn more. During renovations at The Old Florida Fish House in the spring of 2014, new owners Jill McDonald and Sandy Thomas discovered a really scenic spot on the restaurant’s lake side had been wasted as a storage and office space. So, they set to remodeling what is now The Porch, a hidden gem tucked in next to the restaurant. The bar is made from sinker cypress logs, over a hundred years old, that were gathered from the rivers of Northwest Florida. Grab a spot there or at one of the tables with a perfect view of the coastal dune lake. The setting is a screened-in porch, great for catching a breeze in the warm months, but when it’s cooler the screens are covered with glass. Plenty of televisions are available for your favorite games, as well. 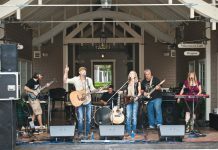 Tucked away behind Sally’s by the Sea Store (an old-school convenience store that sits right atop Blue Mountain Beach), Redd’s Fueling Station features food, a full bar and live tunes many nights of the week, including Open Mic nights. The Proprietor, Redd, is famous for her larger-than-life “Singing Bartender” personality, routinely belting out her unique brand of show tunes and rowdy fun to the delight of locals and visitors alike. Check out the world-class cocktails that the mixologists serve up at FOOWBar (pronounced foo) located adjacent to the Watercolor Inn. There’s often live music and you’ll always find great food options and gorgeous gulf views. 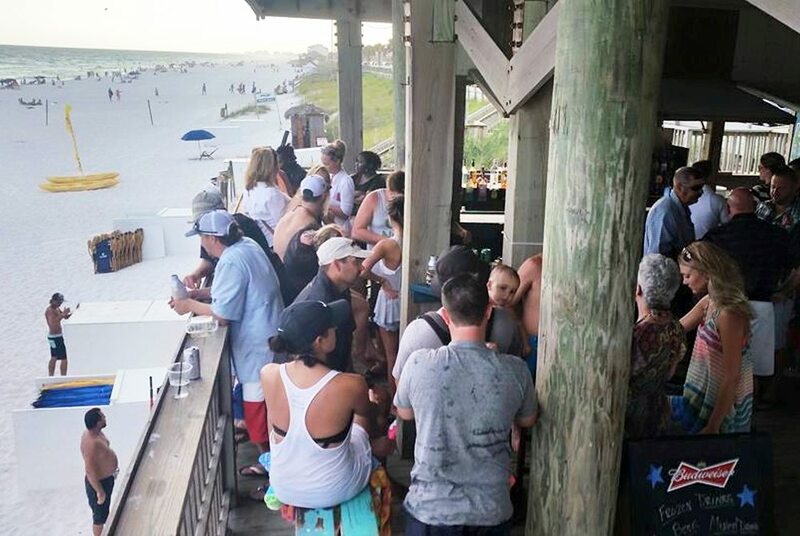 The fabled Crabby Steve’s is a Gulf-front bar that can only be accessed from the surf side. 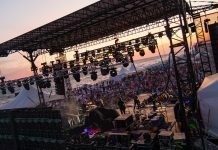 It’s located behind High Pointe Resort in Seacrest between Rosemary Beach and Alys Beach. And although you can’t walk through High Pointe Resort to get there, you can use a public beach access point and then make the long scenic barefoot hike to get there. From the beach, you can walk up to Crabby Steve’s and enjoy delicious food, cocktails (they have a full bar) and an absolutely spectacular Gulf view. FULL SUPER-SECRET BAR DISCLAIMER: Some residents of High Pointe Resort strongly maintain that Crabby Steve’s is reserved exclusively for High Pointe owners and guests. However, Crabby Steve’s Facebook page says that walk-ins are welcome. We don’t know the full truth, but what good is a secret bar without just a little bit of mystery? 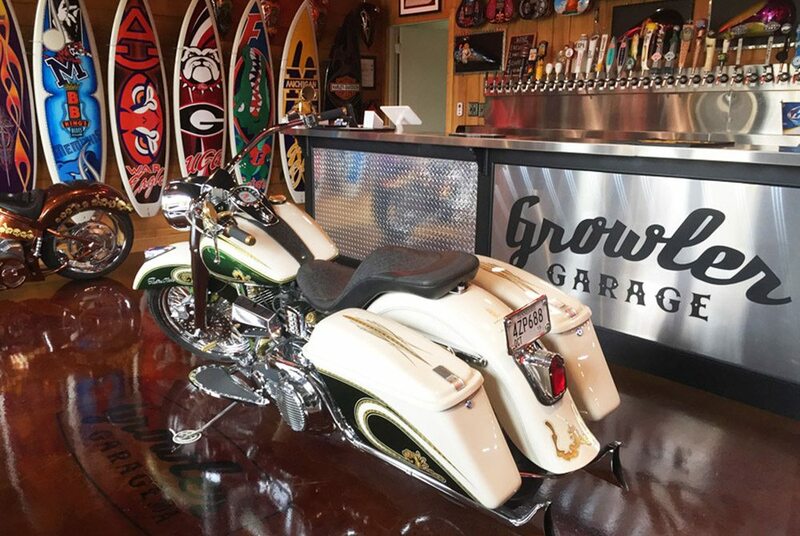 Grab a cold one at the chrome bar and check out all the specially crafted motorcycles, surf boards and guitars at Growler Garage. Behind the beautiful chrome bar at Growler Garage near Gulf Place you’ll find 40 craft beers, a few wines, and often Mitch Omar, who is living out his dream of owning a beach business on 30A. Omar sells growlers of beer to go, perfect for taking to the beach across the street, but as the regulars know the patio is a great spot for hanging out, sipping a cold one — or two — and meeting other beer aficionados like yourself. Havana Beach Bar & Grill at The Pearl has made a splash among foodies and visitors since it opened a few seasons ago. 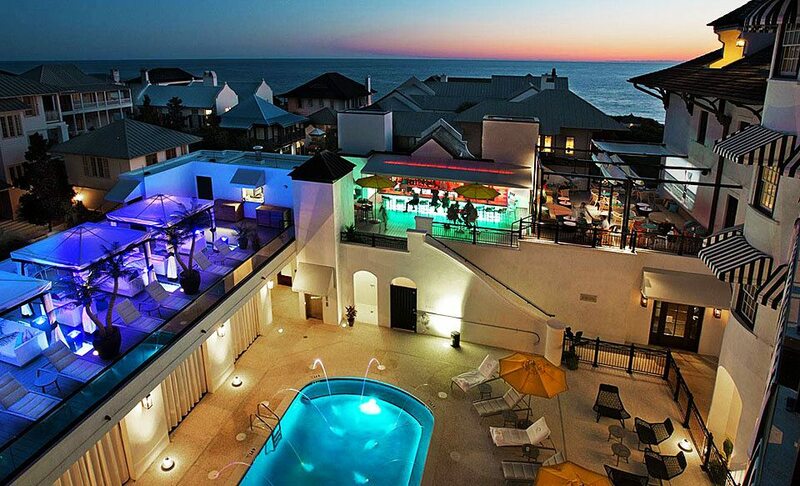 But many people are still haven’t sampled Havana Beach’s Rooftop Lounge, its more casual counterpart out back. A trendy rooftop bar with just a slice of Gulf view, it is perched above The Pearl’s gorgeous pool deck and spa (see below). Havana Beach’s Rooftop Lounge is open to the public and features a full bar, dreamy cabanas, fountains, ambient lighting and appetizing small plates. A popular hangout among Sandestin-ites, The Wine Bar at Grand Boulevard remains largely undiscovered by the 30A crowd. Scenic Highway 30A is home to many wonderful things, but an abundance of bars where you can stick your toes in the sand while watching the fruitcake parade roll by isn’t one of them. Such sandy hangouts are much easier to find over on Scenic 98 in Miramar Beach. Hidden directly in plain view, the Tiki Bar is a small thatch hut propped up just steps from Seascape. There are only a few bar stools to be found here and shade is at a sky-high premium on those sweltering summer days. So if you crave a little more shade (not to mention bathrooms), head over to the bar that’s tucked underneath Whale’s Tail just a few hundred yards to the west. Or, venture a few miles further to the bar that’s back behind Pompano Joe’s, where you can watch the beach volleyball games underway. A short way east of the Tiki Bar, tucked inside the actual beach walkover from Surfside, is Royal Palm Grille’s Beach Bar. It offers one of the best views you can find and a perfect spot to grab a bite, a refreshing cocktail and a bit of shade during a day out in the sun. Royal Palm Grille’s Beach Bar is located right over the sand along the Gulf of Mexico. You need to venture out across Choctawhatchee Bay and up the river to reach this frontier-like outpost. You can get there by car or creek (The Outpost is on Black Creek, which is accessible through Jolly Bay or via the tangled tendrils of the Choctawhatchee River), although you’ll probably fit in best if you show up on a Harley. The Outpost is a biker-owned-and-operated boondocks bar, serving up grilled burgers, wings, boudin sausage, and of course, all the ice cold beer you can safely slam down. It’s a real adventure to go by boat, which is our preferred method. 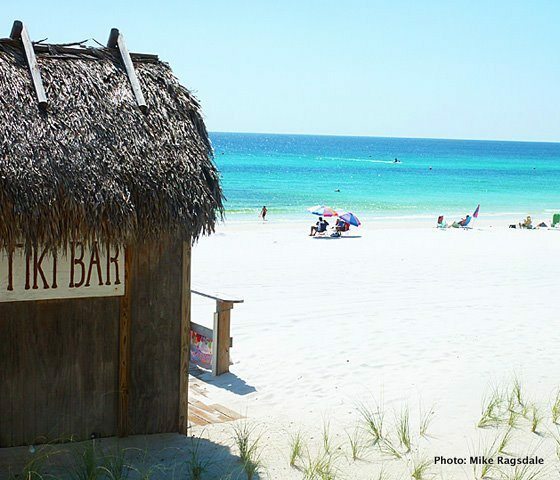 Did we skip over your secret South Walton watering hole? 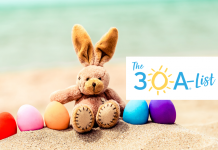 Shout it out and let us know feedback@30A.com.